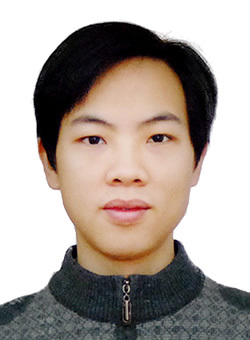 Chen Wang, Hongbo Jiang, Tianlong Yu, John C.S. Lui. SLICE: Enabling Greedy Routing for Large-Scale 3D Sensor Networks with General Topologies. IEEE/ACM Transactions on Networking. DOI: 10.1109/TNET.2015.2464312. Chen Wang, Hongzhi Lin, Hongbo Jiang. CANS: A Congestion-Adaptive WSN-Assisted Emergency Navigation Algorithm with Small Stretch. IEEE Transactions on Mobile Computing. DOI: 10.1109/TMC.2015.2451639. Chen Wang, Hongzhi Lin, Hongbo Jiang. Trajectory-based Multi-dimensional Outlier Detection in Wireless Sensor Networks using Hidden Markov Models. ACM/Springer Wireless Networks, 2014, 20(8): 2409-2418. Wei Wei, Chen Wang, Hognzhi Lin, Rui Zhang, and Hongbo Jiang. A Novel Networking Architecture for Mobile Content Delivery in Urban Transport Systems. ACM/Springer Wireless Networks. 2016, 22(2): 427-438. Tingwei Liu, Hongzhi Lin, Chen Wang, Kai Peng, Desheng Wang, Tianping Deng, and Hongbo Jiang. Chain-based Barrier Coverage in WSNs: Toward Identifying and Repairing Weak Zones. ACM/Springer Wireless Networks. 2016, 22(2): 523-536. Chen Wang, Yanjun Fang, Zhengmin Kong. Energy Efficient Routing in Multi-hop Underwater Acoustic Networks. International Journal of Computer Science Issues, 2012, 9(6): 476-483. Chen Wang, Hongbo Jiang. SURF: A Connectivity-based Space Filling Curve Construction Algorithm in High Genus 3D Surface WSNs. In Proc. of 34th IEEE INFOCOM, 2015: 981-989. Chen Wang, Yanjun Fang, Hongmei Zhang. On Optimizing the Transmission Power of Multi-hop Underwater Acoustic Networks. In Proc. of 18th IEEE International Conference on Networks (ICON), Singapore, 2012: 120-124. Chen Wang, Yanjun Fang. Channel Model Simulation for Underwater Acoustic Sensor Networks Using OPNET. In Proc. of 12th IEEE International Conference on Communication Technology (ICCT), 2010: 141-144.